1. Like pumpkins? Then carve some time in your New England fall travels to experience the Jack-Lantern Spectacular at the Roger Williams Park Zoo in Providence, R.I., from Oct. 6 – Nov. 6, 2016. The nighttime event will feature a display of 5,000 illuminated jack-o-lanterns set along the scenic Wetlands Trail, and more than 100 of the pumpkins carved into works of art. “Seed” more at http://www.rwpzoo.org/jack-o-lantern-spectacular#ad-image-0 (sorry for the bad pumpkin pun). 2. 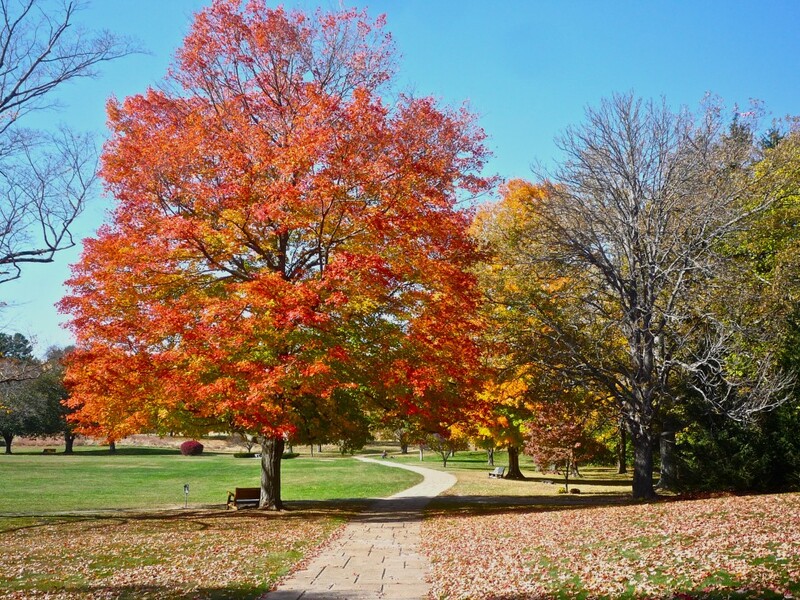 Stroll the 275 acre Hopedale Parklands in Hopedale, Mass., during the fall. The quiet, scenic trails alongside the Hopedale River provide the perfect escape that pretty much only locals know about. At peak foliage, the colors are typically vibrant. 3. There’s nothing like taking in a New Hampshire fall foliage festival! The annual Waterville Valley Fall Foliage Fest over Columbus Day Weekend (Oct. 8-10) remains a terrific choice with kids’ games, pumpkin painting, a pumpkin scavenger hunt, a BBQ, beer tasting, live animal show, merchant tent sales and a ski and snowboard swap. On Saturday from 12 noon – 3 p.m. a band will perform from the gazebo. Log onto http://www.waterville.com/summer-events-deals/summer-event-calendar.html?id=6186 for more information. 4. Get into a Maine tradition with the Cumberland County Fair to be held Sept. 25-Oct. 1, at 130 Blanchard Rd., in Cumberland, Maine. You can’t go wrong with the agricultural exhibits, entertainment for all ages, food and merchandise vendors, demonstrations in the Exhibition Hall, Museum and Sugar House, livestock displays and shows, horticulture exhibits, daily harness racing and more. Check out http://cumberlandfair.com/ for dates and times of events. 5. The North Central Rhode Island Chamber of Commerce sure knows how to satisfy the heart of lovers of the fall season with the 28th Annual Apple Festival,September 17 @ 10:00 am – September 18 @ 6:00 p.m., at Johnston Memorial Park in Johnston, R.I. This beloved local event will showcase pie baking and pie eating contests, farm fresh apples, a kids zone, music and entertainment. See http://www.chamberorganizer.com/Calendar/moreinfo.php?eventid=185123 for details. 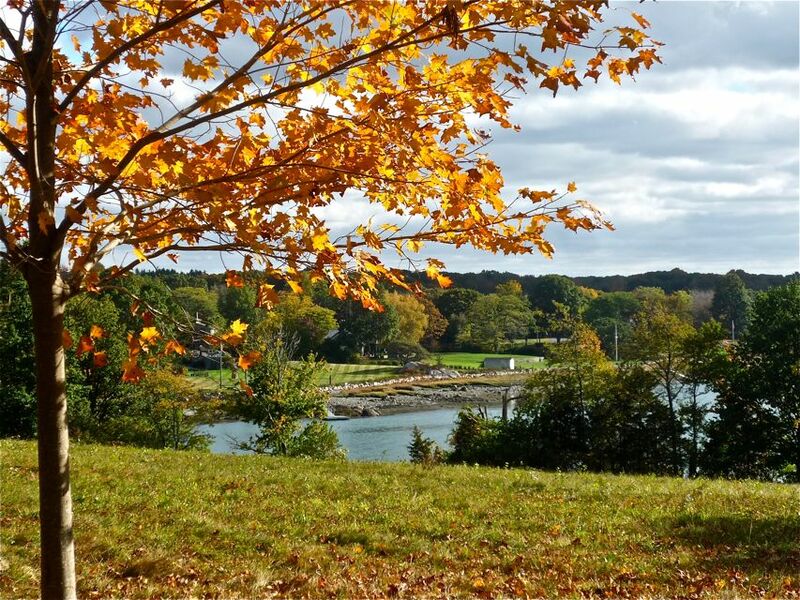 acres featuring tree-lined carriage paths leading to rocky shores, wide hillsides, open grassy lands, saltwater marshes, meadows, granite ledges, forest, and amazing panoramic water views of the Boston skyline only 15 miles away. It’s great any time of the year but the fall colors create an idyllic wonderland. 7. Wethersfield, Conn., on its own, is worth the trip with its beautiful historic village presence and amazing preservation that incredibly is only a few minutes away from densely populated Hartford. But what would a community be without a special event like the Wethersfield Annual Craft Fair? Held this year on Sat., Oct. 1 from 10 a.m. to 4 p.m., at Cove Park, the Craft Fair features more than 100 crafters. The offerings are diverse: clothing, jewelry, furniture, seasonal decorations and more, There will be alpacas and face painting for children, offerings from several local non-profits and delicious goodies at the society’s Farmers Market booth under our tent. Log onto http://wethersfieldhistory.org/visit/wethersfield-craft-fair/ for more information. 8. Enjoy some fall flavored pancakes at Polly’s Pancake Parlor in Sugar Hill, NH., generally regarded as one of the best spots for pancakes in all of New England — no prepared mixes here! Rotating specials that are perfect for the fall include whole wheat pumpkin pancakes and apple cinnamon pancakes, as well as “Kathy’s Fav,” a permanent menu item that consists of grilled cheddar, ham and apple slices served with maple mustard. Add-ons can only help make the perfect pancakes even better with choices like pure maple sugar, maple granulated sugar and “Maple Hurricane Sauce — thinly sliced apples that have been cooked in butter and maple syrup. Top it off with a nice fall drink like hot spiced cider, and you’re on your way to a wonderful local autumn meal. Then, enjoy some of the best leaf peeping in New Hampshire, as the Sugar Hill area is full of great fall colors during peak foliage. You can read about fall time in Sugar Hill on the excellent New England fall foliage site. For more on Polly’s Pancake Parlor, log onto https://pollyspancakeparlor.com/. 9. Drink in the 19th annual to be held Mount Snow Oktoberfest Sat. Oct. 10 and Sun., Oct. 11 at the Mount Snow Main Base area in West Dover, Vt. As can be expected at an authentic German-themed event like this, highlights include beer, schnitzel and Oom-pah music, but also local event favorites like kids games, pumpkin painting, an apple sling shot and the famous “schnitzel toss” Read the description at http://www.mountsnow.com/events/calendar/19th-annual-mount-snow-oktoberfest/ for more information. 10. Acushnet Creamery at 264 Main St. in Acushnet, Mass., is one of the best kept secrets for great local ice cream stands in Massachusetts, and they will not disappoint in the fall with flavors like apple pecan, cranberry harvest (simply amazing!) and pumpkin. Unlike many so-called “homemade” ice cream places, Acushnet Creamery makes its own ice cream on the premises. 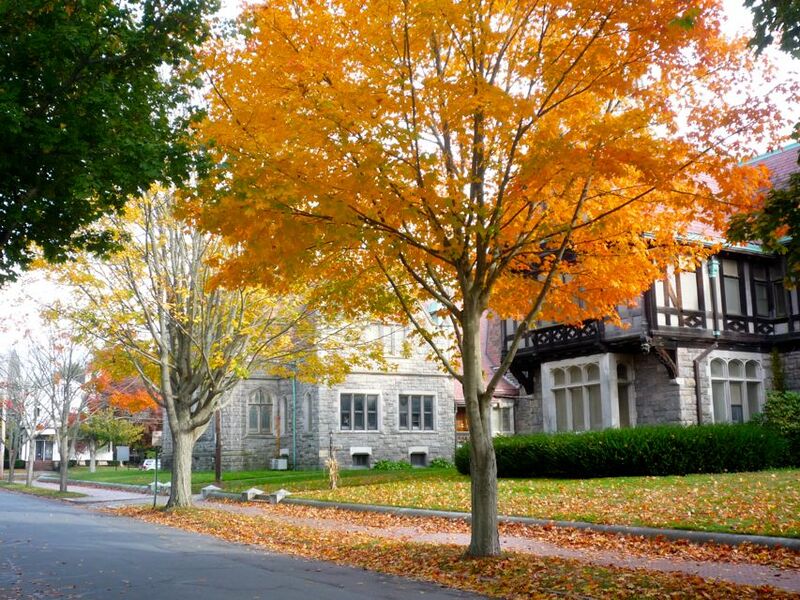 The foliage becomes impressive in this area after Columbus Day, and it’s always nice to visit such lovely, quaint coastal towns like nearby Fairhaven where you get the best of both worlds — that is, foliage on tree-lined streets and the ocean just steps away! Congregational Church, 55 Rhodes Ave., in East Walpole, Mass. This friendly, little neighborhood fair never fails to satisfy with its food, games, rides and opportunity to win fabulous prizes at a Silent Auction. Rooms are packed with locally made breads, homemade jams and pies, fall mums, jewelry, china, toys, cookware and antiques. Held at the church and at the foot of the incredibly beautiful Bird Park (be sure to walk the 89 acres! ), the unmistakable look and feeling of fall saturates the idyllic surroundings here! The event provide support for the church’s Christian Outreach ministries, including The Walpole Food Pantry, St. Paul’s Lunch Program (Brockton), Boston City Mission Society, Seafarer’s Friend (Port of Boston) and others. Call (508) 668-1355 for details. 12. Apple Fest on Sat. Oct. 1, 10 a.m.-6 p.m., at the flagship Yankee Candle store in South Deerfield, Mass., should prove to be a bright light with cider tasting and apple treats with local orchard owners. hayrides, raffle prizes, live music and more. Check out http://www.valleyvisitor.com/events-calendar-jump-to/events/yankee-candle-village-apple-fest.html for more info. 13. If you love apple cider, Cider Hill Farm in Amesbury, Mass., serves some of the best around. This fantastic fruit and vegetable farm with apple picking opportunities also has a store where you can purchase the amazing cider. Just reading the Cider Mill Farm’s own description of its apple cider creates a mouthwatering effect: “Our unpastuerized cider is made from a blend of 7 to 12 varieties of apples, which are selected for their contributing qualities in creating a juice with a great complex flavor including the right balance of sweet, tart, astringent and aromatic tones. With 65 varieties to choose from, we always have the raw ingredients for a gourmet blend.” We recommend, however, going beyond just reading to sample some of this incredible tasting cider. Log onto the Cider Mill Farm’s apple cider page at http://www.ciderhill.com/cider.html for further info. 14. If you like throwing pumpkins or have ever thought of doing so, then by all means attend the 8th annual Vermont Pumpkin Chuckin’ Festival 2016 scheduled for Sept. 25 at the Stoweflake Resort at 1746 Mountain Rd. in Stowe Vt. Here, you can build trebuchets to launch pumpkins to compete for prizes for distance. Also featured: Battle of the Bands, Boomer the amazing tennis robot, music by local bands, volleyball, and a a chili cook off. Chuck yourself over to http://vtpumpkinchuckin.blogspot.com/ for more information on this unique fall event. 15. Love a good-old-fashioned New England fall fair? If so, consider the Tunbridge World’s Fair 2016 scheduled for Sept. 15-18 at 1 Fairgrounds Lane in Tunbridge, Vt. This traditional agricultural fair will feature working antique displays, horse, pony and oxen pulling, horse racing, cattle and horse shows, junior 4-H exhibits, contra dancing, gymkhana, free shows, and a midway. See http://www.tunbridgeworldsfair.com/ for details. 17 The New England Apple Pie Contest is part of the 33rd annual Applefest at Wachusett Mountain event, Oct. 15-16, from 10 a.m.-5 p.m., with an Oktoberfest, and more than 75 craft fair & farmers market booths, family entertainment, scenic foliage skyrides to the summit, mountainside barbecue, pony rides, clowns, a climbing wall, jugglers & magicians. Details can be found at https://www.wachusett.com/EventsActivities/CalendarofEvents/AppleFest/tabid/362/Default.aspx. 18. Best apple cider donut in New England update: you would think a rural New Hampshire or Vermont farm stand might be the spot for finding the best cider donut we have tasted, but, to date, the honors go to Volante Farms at 292 Forest St. in Needham MA. 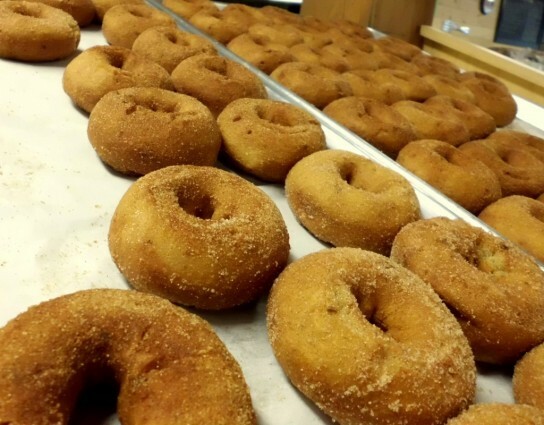 Sure, you wouldn’t expect to find such a great cider donut in the Boston suburbs but this outstanding landmark farm stand creates magic with a moist, flavorful, full bodied version. Check out the bakery section of the Volante Farms web site at http://volantefarms.com/products/kitchen-deli/coffee-bakery/. 19. The Sturbridge, Mass., Town Common and the grounds of the Publick House Historic Inn — a quintessential New England destination — will be the location for the 27th Annual Harvest Fair, Oct. 15-16. This entertaining event includes many local crafters, artisans, specialty food vendors, farm fresh harvests, and live entertainment, as well as the The Publick House’s Scarecrow Contest. Log onto http://cmschamber.ning.com/page/harvest-festival for all the details, including times for fair operations and its specific events. 20. The Glastonbury, Conn., Apple Harvest Festival seems to always have something for everyone and this year is no exception. Scheduled for Oct. 14-16 at Riverview Park, the Glastonbury Apple Harvest Festival will offer more than 120 local crafters, vendors, and food vendors, a 5k road race, fireworks, 40 Bands on three stages, amusement rides and the The Angry Orchard Harvest Pub. Check out http://www.glastonburychamber.com/apple-harvest-festival for details.